Happy reader question Friday, everyone. 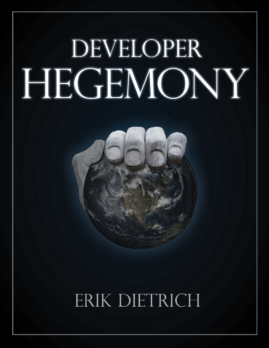 Today, I’ll field a question about the Developer Hegemony book. For any newer readers, I wrote this book over the last couple of years and published it to Amazon in early May. For a briefer synopsis of its purpose and message, you can check out this announcement post. The question was a lot longer than this (and contained some much appreciated kind words). But I’ll leave out any personal details and the backstory and leave just the question (paraphrased). Aside from joining the Facebook group on the “What Now” page and spreading the word via social media, is there anything else I could do to help you get these ideas to more developers? For some quick housekeeping, here’s the page in question and the Facebook group, too (feel free to join!). I appreciate the question, and I also understand it. I mean, of course I literally understand the English language. But I mean that I understand the necessity of the asking. The book release coincided with my “retirement” from IT management consulting. I went home, published a book, and dedicated my time to three simultaneous pursuits: a dev tools content marketing business, a specialized codebase analysis practice, and selling my primary residence in favor of what I think of as “cosmopolitan homelessness” (and moving). I offer this not as an excuse, but as an explanation. I’ve been distracted. The upshot of my flurry of activity has included not doing a lot to pursue or facilitate the book’s vision. I’ve made occasional posts to the Facebook group and I’ve added some content to my Youtube channel about how to get a Tax ID and start a corporation. But I haven’t exactly kept the pedal to the floor and started a movement in earnest. So I’ll take on this question and the rest of the post from the perspective of “what would I do to advance the cause if days were 32 hours long and I had more time?” After all, no one has more interest in advancing the cause than me. I should also mention that the book contains my thoughts on how individuals and organizations can move toward Developer Hegemony. I won’t rehash that here, opting instead to address the specifics of how to spread the ideas. The reader specifically mentioned promoting the book on social media. Obviously, and setting aside the obviously self-serving angle here, I’d love for all of you to promote early and often. And for those of you who have and who do, I deeply appreciate it. If you purchased through Amazon, you could also leave a review, since I think that indirectly helps get Amazon to promote it themselves. I’ll offer you a very 101 glimpse into marketing, though, for some perspective. In terms of what converts to purchases, social media ranks pretty low. Blog posts convert better, and nothing converts like an email list. As a result, marketers generally use social media to drive people to site posts/pages, and then use site posts/pages to get email signups, and then try to convert. This is collectively known as the “marketing funnel.” I made use of this to promote the book, and anyone wanting to help could similarly do so. Of course, none of these things hold a candle to word of mouth recommendations. The book has leveled off into a steady state of consistent daily sales volume, which means that people most likely are making recommendations. So, in terms of obvious stuff, any promotion at any stage of the funnel, and any recommendations help, and I truly appreciate them. But short of getting the book in front of huge industry influencers and securing recommendations from them, book sales and reads alone will not drive the change. Developer Hegemony features extensive treatment of the role of journeyman idealists. These folks play an important role in the depression of developer wages and autonomy. And they do this by bending over backward to disguise the fact that programming skill level has serious diminishing marginal returns. In other words, imagine a spectrum of programmer skill from 1 to 5. You’d think that compensation would follow a linear model from 1 to 5, but reality has different ideas. As a labor purchaser, I’d offer maybe $100 per hour for level 1, $120 per hour for level 2, and then about $140 per hour for 3-5. Why? Because I need you to write a Sharepoint plugin, not design a neural network from scratch. Sure, I’d prefer a 5, but not enough to pay extra for one. And that defines the overwhelming majority of the market. If I’m being blunt, the journeyman idealist then plays the role of “useful idiot” for his company. The company values the labor externally as it really is, but creates a different internal structure. Internally, it pays $30, $40, $50, $60, and $70 per hour, respective to levels. In terms of their value to the organization, 3-5 should receive identical pay. But the organization extracts a little savings on 3s and 4s by telling them to wait until they graduate to 5s. But they don’t break this news directly — they gamify the whole thing by turning it into some illusory meritocratic game, and then they sit back while the journeyman idealists gleefully administer their own underpayment. Spread the word by putting a stop to this nonsense. So do this. When you see developers blindly chasing language level-ups, start a conversation. Ask them if they’d take Stack Overflow points in lieu of salary or badges in lieu of benefits. 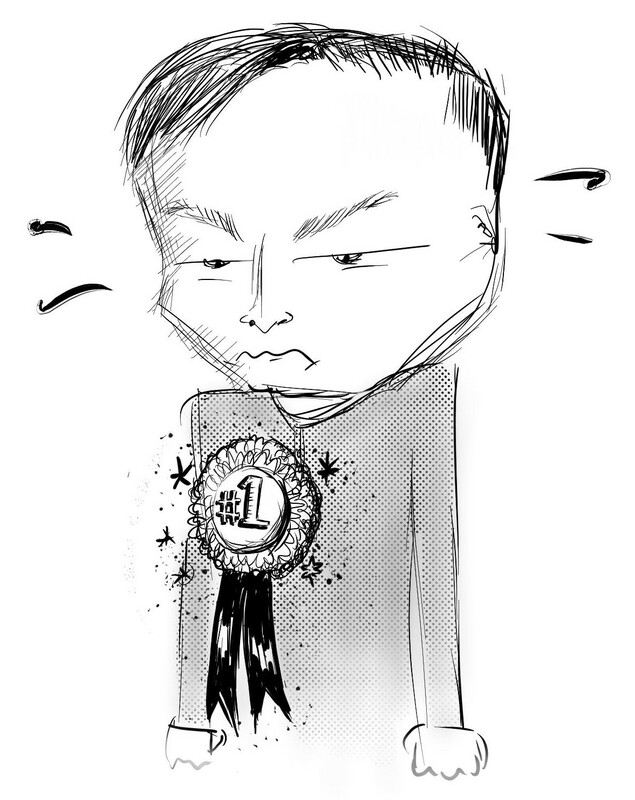 When you see people opting into and practicing for stack ranking programming contests, ask them how much the practice and contests pay per hour. If they tout saw-sharpening activities and deliberate practice, ask them to estimate the ROI on the activity. In all cases, this will be jarring and you will seem contrarian. But if you get a foot in the door and you get them to consider, you can start spreading the developer hegemony message. By all means, offer them a copy of the book, refer them to my blog, or introduce them to me. But if you feel comfortable articulating these ideas on your own, then go for it. Journeyman idealist games are like social media — they live and die by the sword of the network effect. If enough people stop playing algorithm trivia games, the games just disappear. Let’s switch gears a touch. I feel a bit bad for dumping heavily on the journeyman idealist, so I’ll offer a positive alternative to journeyman idealist. I’ve always found it curious that, as developers we organize communities around our tools rather than our goals. For instance, I’ve attended a lot of .NET user group meetups over the years and some Java ones besides. Perhaps Ruby, Go, or Python meetups are more your speed. We go there to find peers with mutual interests and to share ideas with them for how we can all improve. I love this concept (obviously, or I wouldn’t have gone to so many of these meetings). But it disappoints at times. I’ll get an invite that says, “learn to <Do a Highly Technical Thing> with <Hot New Tech>.” And if I’m not interested in Hot New Tech or if I’ve never heard of it, I risk feeling I’ve wasted time after the meeting. What if we shifted this meeting pattern? What if instead of organizing by what languages/frameworks we used, we organized by goals? Monthly meetups for people who build websites for small businesses or people who help software dev shops tune and optimize their databases? Do this, and everyone attending can always answer, “why should I bother to attend?” It’s easy — every meeting will help you deliver value to your customers and help you make more money. Sure, some of the meetings will cover cool new techs and toys, and that’s fun for everyone. But you’ll never be doing it just because the cool kids are. And, if you want to build efficiencer firms, this seems like pretty fertile ground for forming them. So you could start a community like this to get the word out. The last thing I’ll mention involves something I talk about in the book, but more as a prediction. I think one of the things that moves software developers out of the role of “corporate drone” will be more and more businesses catering to independent developers. For instance, I imagine that you’ll see legal and accounting practices that specialize in helping small software development firms. But we can actually scratch that itch ourselves. And, in fact, that’s what opportunistic developers have really started to do in terms of taking control. If you look at John Sonmez’s site, SimpleProgrammer, you’ll see someone who moved from software development to making content for software developers. You see similar offerings for training, coaching, etc. A lot of software developers transitioning to efficiencers stay close to home, identifying software developers as their target market. You can do this yourself. Go ahead and build info products and train developers in development techniques if you like. But you could also do things like this. Specialize in helping software developers escape non-compete agreements. Write accounting/billing software specifically aimed at software development (efficiencer) firms. Build a turnkey “start your business” offering that incorporates a freelance programmer, sets her up with basic contracts, and makes her a website. Or, what I plan to do — build a content library/offering around consulting and going off on your own. The common thread? You can get the word out by making it in your financial interest to do so. Start a service that helps developers go efficiencer and encourage them to use it. I recommend doing this as a side hustle because that lets you test the waters and makes it less daunting. Everything I’ve said here is fairly tactical, and I think that was the thrust of the question. You can discourage participation in journeyman idealist games, start efficiencer communities, and start efficiencer-serving businesses. All of that will serve to increase the profile of the developer hegemony idea. And, of course, socializing it with interested folks in your network via shares or word of mouth. 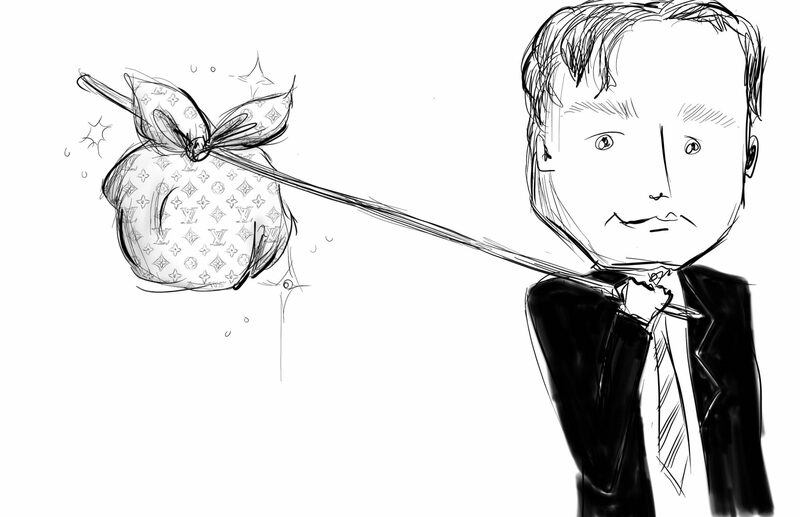 But I’ll offer some more strategic, philosophical advice to wrap. Hold onto some indignation about the programmer’s current plight, and let it seed your mind with ideas over the course of time. In the legal profession, lawyers are the bosses. In your doctors’ office, doctors run the show. As a programmer, you have 8 different bosses, Bob. Why is that? And why do people think you’re crazy for asking why? Software developers are currently among the least influential people in the software development industry. That should piss you off. Hold on to that indignation, talk about it, and let that drive your conversations until it no longer applies. I know what you mean about meetups/UGs and development tool xyz. They do draw more attendees from what I’ve seen though – which is a both odd and a shame. There are bigger fish to fry than “the latest tool to do X”, but apparently the masses have spoken! My own talks have been geared toward more cross-cutting concerns (clean code, communications) and attendance was ok, but not the sort of attention something like a new framework would get. I wonder if that attendance pattern wouldn’t change if developers started to view themselves differently. Right now, it seems that, while some of that is probably earnest interest in learning, some of it is also signaling and a desire to keep up with the technical jonses. 🙂 Congrats on the course! And if your experience is like mine, you realize after a while that the “networking” you do in that capacity is pretty oblique — you’re sitting with peers (and, theoretically, competitors) rather than buyers.